Players know that the work is never done and that there is always room for skill improvement. Practicing different areas of the game can help players become more complete and the skills listed below can add extra elements in skating and shooting. The drills in the Chalk Talk series put players in situations that they will encounter in games. This presents the players with the opportunity to create, problem-solve, read and react, and use the technical skills, tactics and concepts they have learned in practice. Here are six vital skills every player should work on. Use edge control in a two-foot slalom to develop overall skating skills and balance. Feeling comfortable and balanced on your skates is key, no matter how many feet are on the ice or which direction you are moving. Make this progression part of your warm-up routine to improve overall skating agility and confidence in your edges. The One-Timer is one of the toughest shots in hockey. A lot has to go right for it to be successful but little things like angling and body position can have a big impact. A difficult skill to perfect, the one-timer is an effective shot to use before the defence has an opportunity to set up. 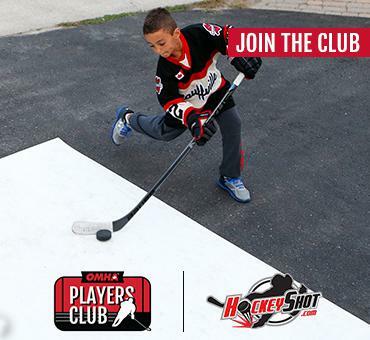 The one-timer takes a great deal of hand-eye coordination and near-precise timing from the shooter. When it connects, it can leave both defenders and goalies out of position, increasing the chances of scoring a goal. Skating is one of hockey’s most fundamental skills. 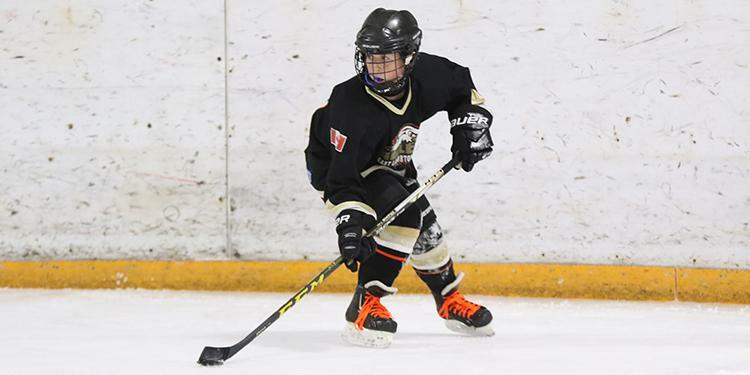 Becoming comfortable moving on the ice is one of the cornerstones in building player confidence. The ability to turn and change directions smoothly can open up new pass and shot opportunities. Pivots allow for a player to change direction without modifying speed, a crucial skill in today’s fast-paced game. Get the most out of every stride by using the proper technique. When a player finds themselves in between a defender and open ice there are a number of ways they can break free of the pressure while keeping possession of the puck. One of our favourite moves to evade a defender involves a fake followed by a lateral crossover and quick acceleration past the defender. Using a combination of head, body and stick fakes, the puck carrier fakes to the inside. Once the puck is outside, accelerate using quick and powerful crossovers to drive from outside back inside. There’s a difference between a slow, wide turn and a quick, tight turn. Turning is one of the most important skills for a skater to learn. With this drill, players should be able to change direction in a sharp manner without losing speed or balance. Using Tight Turns allows for players to change direction quickly while shielding the puck from your opponent with your body. It requires a deep knee bend with weight distributed as evenly as possible on both skates. This is an open ice or breakaway technique where the player pushes the puck with one hand on the stick in order to skate at full speed. The most important thing to remember is to eliminate unnecessary stickhandling and underhandle the puck. Underhandling is a key skill for players to learn in order to maintain speed and also allows the player to keep their eyes up to read the play around them.